So....I pulled a few things and am trying to figure out what I want to do with them. I have been fascinated with orange lately. 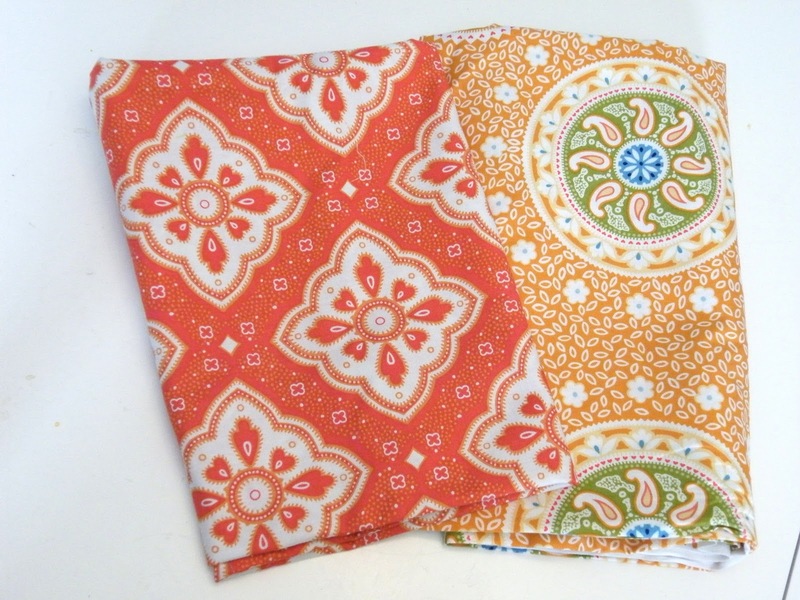 I am going to make an orange and white quilt, but I haven't any idea what pattern I want to use....any suggestions would be greatly appreciated!! 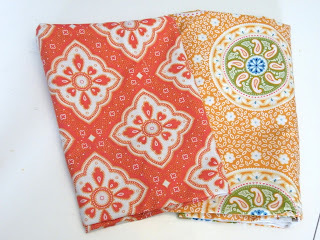 I fell in LOVE with these fabrics the other day while in my all time favorite fabric store (M&L) and bought them. Not so in love with the rest of the line, but these are soo yummy. I have been collecting oranges. And medallion prints. hummmm. Not sure what to do with this bundle either. I loved it when I first got it, and I'm thinking a green/white/black quilt will look fantastic...but again not sure on the pattern. Maybe a DNP (my standard "go to" pattern)﻿ who knows. Maybe I'll add some hot pink to the mix and make it day glow. Or maybe I'll use this as a give away. I have been hoarding it. 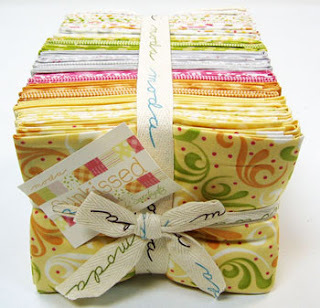 I bought the jelly rolls for the Jelly Roll Quilt alongs (still not done) but this is hoard status. It's SO pretty. It's sooooo yummy....and I know it will end up as several quilts. It just hasn't told me which ones yet. 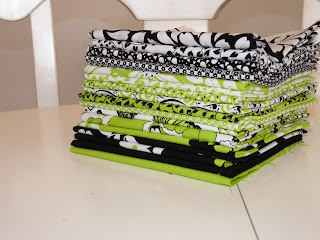 I think I have a wee problem....too much fabric, not enough time.....never enough time! I was going to mention Disappearing 9-patch for the oranges, but after reading farther down, I see you've already done one. Pottery Barn catalog always gives me inspiration for the big prints.